Tiny freshwater fish have a view of the world that blows Google Street View out of the water – using different parts of their eyes to deliver optimum uses of colour, black-and-white and ultraviolet. Dr Tom Baden, a senior lecturer in neuroscience at the University of Sussex who led the research, said: "By measuring the activity of thousands of neurons in the live animal while presenting visual stimuli, we established that different parts of their retinas, looking at different parts of the visual world, do different things. This multi-faceted view makes perfect sense for zebrafish as that's how colour is distributed in their natural habitat. In their natural visual world, most colour information is on the ground and the horizon but above them the objects of most interest are dark silhouettes, so colour vision here is rather pointless." The study is the first in-depth physiological description of any vertebrate's retinal setup for colour vision that uses "4 input colours" which includes a large proportion of non-mammal species such as most birds, reptiles, amphibians and fish. By comparison humans only use three and mice, dogs and horses only two. 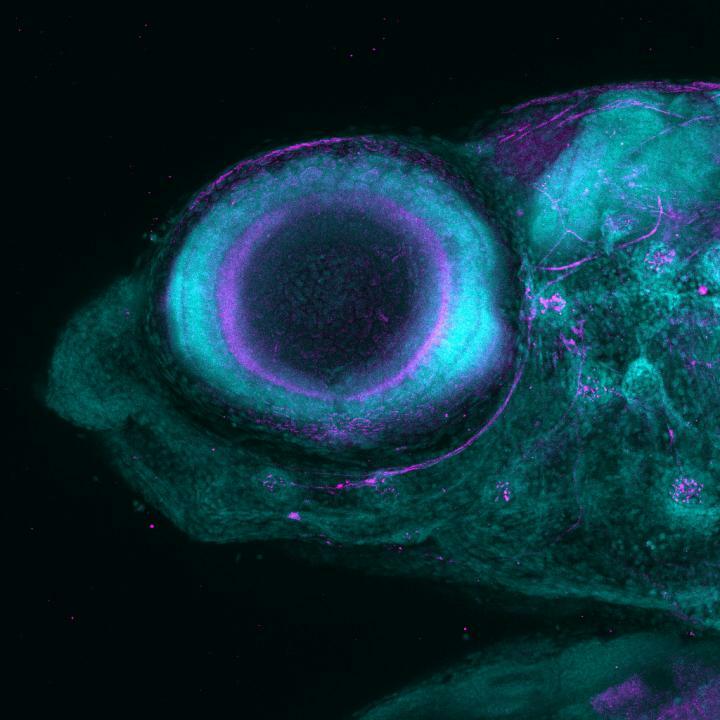 Dr Baden said: "Clearly, animals like zebrafish use specialised strategies to better navigate their natural environment by adjusting their eyes to look out for different things in different parts of their visual field. In contrast, technology has not really caught up with these types of ideas. For example, most standard camera systems still "blindly" use the same type of light detection and compression across an entire image even if half the image shows bright blue sky and the other half the overgrown and shadowed ground."